In the Blue River valley near the Breckenridge ski area, there are numerous hiking trails to choose from, all of which lead to views of the Continental Divide. Or you can ride a chairlift and walk down one of Breck’s summer trails. Another way to experience some of these breath-taking trails is to drive up an old mining road on Mt. Baldy. 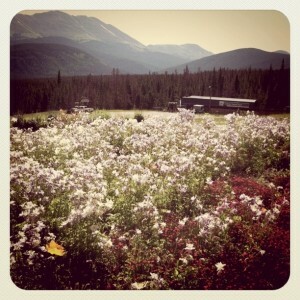 There you can park and explore the blooming alpine wildflowers. South of Breckenridge, hike this single-track trail through the woods, or drive up and hike near Continental Falls to the upper lakes. Even further south, before you drop into South Park, park at the Continental Divide and walk in wildflower-choked alpine terrain, including a trail system known as the Bemrose Ski Circus. Venture up the mining roads off of Boreas Pass road and see Breck’s ski runs across the valley. Near the Breckenridge Nordic Center are paths that lead into Cucumber Gulch, where moose are spotted regularly. Don’t worry they only eat a few of the flowers. Ride the chairlift up, or hike up, and look at delicate flowers that bloom in the warmest months while hiding out under snow all winter. You can also sign up for guided tours here. Near the Beaver Run Resort and Conference Center is the Burro trail, which connects with trails near the Spruce Creek drainage and the Wheeler Trail, which leads into the saddle between Peaks 8 and 9 before dropping towards Copper Mountain. Explore a local’s favorite by starting up a road before traveling on single-track, leading into a high alpine basin with a creek filled with wild blooms. Hike to waterfalls in McCullough Gulch and spend a few moments in the majestic presence of the local “14er,” Mt. Quandary. Keep in mind that each of the trails bloom at different times and with different flowers. 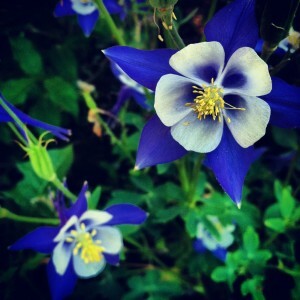 You may want to explore local guides for more information on timing to help you experience peak blooms. You can find a map featuring trails maintained by the Town of Breckenridge at any of the local bike shops. When hiking in the mountains, you should always be prepared for sudden changes in temperature and for inclement weather. Take a map, and always let someone know where you’re going and when you’ll be back. It's almost time for wildflower hunting season! What are your favorite hikes to catch the colors in bloom? 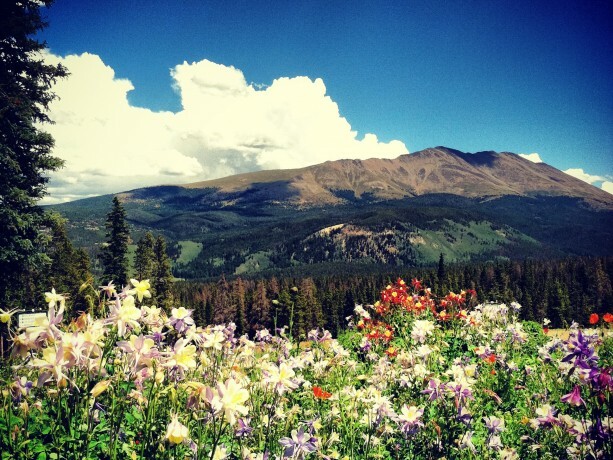 Can't wait to get to Breck for many summer hikes!